Some call it the “indie game movement”, others an uprising, a revolution. Independent games are growing and seeping into the same space that you’ll find Call of Duty or Just Dance. Partly from the help of things like the Ludum Dare contests, the Independent Games Festival, Microsoft and Sony’s new promotion initiatives, and just word of mouth, it’s much easier to find the most innovative and fascinating indie games than it has been previously. Indie developers have the freedom to express ideas that wouldn’t be allowed under the control of a big publisher trying to appeal to a massive audience. They’re arguably the strongest force driving the industry toward new ideas and design philosophy. 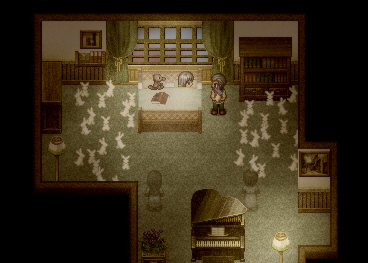 To the Moon is an indie game you probably missed. Released in late November, a time where the people paid to write and talk about games are typically butting heads over “Game of the Year” deliberations, To the Moon sunk underneath all the Elder Scrolls V: Skyrim and Star Wars: The Old Republic talk. It received a few bits of recognition here and there, including a nomination for the Independent Games Festival awards for “Excellence in Audio” that will hopefully lure a few more to try it out. For what To the Moon lacks in gameplay, it more than makes up for it with a touching narrative about a man’s last wish, merely days before his death. Inception similarities abound, the game follows two scientists as they travel through the man’s memories, slightly changing them to cause his life to lead up to his final wish: going to the moon. Each memory sequence requires you (the scientists) to find mementos that provide morsels of information about the man’s life. After exhausting the recollection, you use a special memento that exists in multiple memories to travel back to earlier ones. The premise is excitingly clever as you follow the man all the way back to his childhood, along the way you find out why his trip to the moon isn’t so bizarre. Most of To the Moon consists of dialogue and clicking on important objects, you must complete a tile-reversal puzzle before you recede deeper into the old man’s memories, but they’re very simple. The critical reception of Freebird Games’ 16-bit styled adventure game is very high, but many critics pointed out its lack of gameplay. Gao’s attention to detail plays a large part in making To the Moon’s story feel so well presented. “My preference of art style is probably between that and the painted look of Bastion. In the case of To the Moon, though, I think the 16-bit look add to the nostalgia factor, which is rather appropriate for the story,” he said. The game deviously uses its playful visuals to make you feel welcome while occasionally using them as a weak spot leading right to your emotions. By the end of the game it’s clear Gao knows how to manipulate your feelings. Slight story spoilers follow, read at your own risk! As soon as the credits roll, it’s revealed that To the Moon is episode one of a series of games. The two scientists will have more dying wishes to aid in, Gao told me. “The foundation of the next episode has already been laid out, and I’m very excited to start officially working on it,” he said. If you pay close attention a few plot threads are started and left unresolved. One example is the male scientist Dr. Watts and his suggested addiction to painkillers. The female scientist Dr. Rosalene offers him help but he nervously declines. Gao would only hint at it, but it’s probably safe to assume some of the minor plot points will come up in future episodes. On paper it sounds antithetical to create a game without the game parts, however large parts of the audience want the gameplay to remain unobtrusive, “content tourism” as some define it. Much of Heavy Rain game designer David Cage’s work reflects this new genre of video game auteurism, where games like the Uncharted series try to combine the two with some mixed results. It’s reaching out to bigger games like Mass Effect 3 where a new “Story Mode” puts a larger emphasis on the dialogue choices than the shooter gameplay. 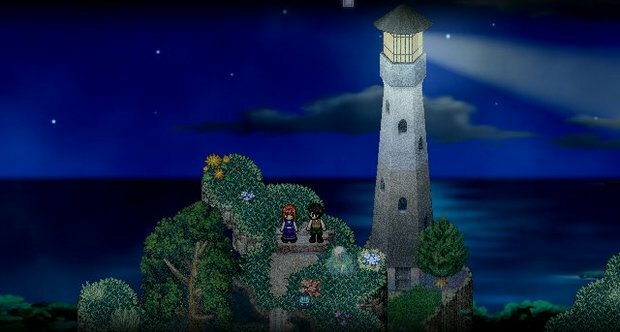 To the Moon may defy what the traditional definition of a “game” is, but it still grabbed the hearts and attention of many players; even bringing some to tears. 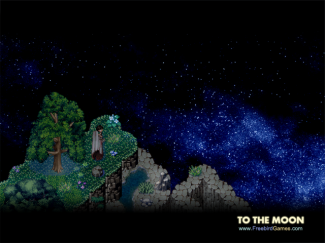 To the Moon is available for $12 on the Freebird Games website. Kan Gao’s (IGF nominated, and beautiful!) soundtrack is available on Bandcamp for an optional price starting at $5 — 50% of the profit goes toward charities for autism too! Tyler Colp has been writing about games as a journalist and a critic for over five years. His work has appeared on The Escapist, Venture Beat, BitPulse, and Pixel Enemy. He's into loud music and anything that has to do with Dark Souls.